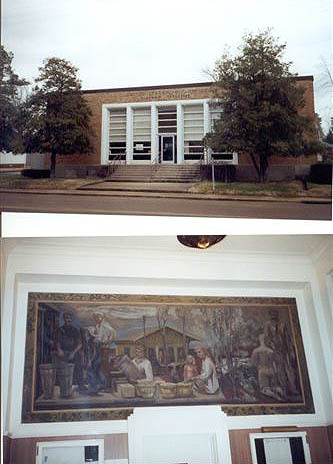 The mural in the Gleason, TN Post Office is entitled "Gleason Agriculture." It was painted in 1942 by artist Anne Poor. This was one of the last murals completed in Tennessee under the Section.